In my 30 years in the transportation business, starting as a highway engineer, I have learned one main lesson, streets must be built for people, not just cars. I am committed to land use and transportation connections, and creating great places and the great streets that lead us to them. The journey is not about just getting there, it is about the trip, and the people impacted on the way. 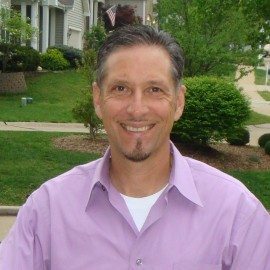 Paul Wojciechowski is a transportation planner and engineer with over 28 years of experience in planning and designing innovative transportation facilities, and integrating these facilities to function with adjacent land-uses. Paul has dedicated his career to public projects that enhance communities and regional systems, and has contributed ideas for development projects that achieve community goals, including award-winning projects such as the regional Gateway Bike Plan in St. Louis and the City of Woodson Terrace Comprehensive Plan. In a consultant role, his work has included street design, bikeway and pedestrian facility design, transit projects, land-use planning, program management, transportation planning, and utility relocation. In addition, he has served in public official roles as Director of Public Works/City Engineer for the City of Clayton, and at the Missouri Department of Transportation, where he has dealt with client responsibilities first hand. In his 17 years at MoDOT, he was involved in a variety of positions such as the Transportation Planning Manager responsible for all transportation planning activities in the St. Louis Metro District, programming of state and federal funds, and the main point of contact with the East-West Gateway Council of Governments. He also served in highway design, traffic engineering, utilities engineering, and project management capacities.